Once upon a time the Deviant was considered an underdog in the muscle car field. But in the land of opportunity, an underdog is only a genetically-engineered monstrosity in waiting, and that’s something Team Schyster know all too well. 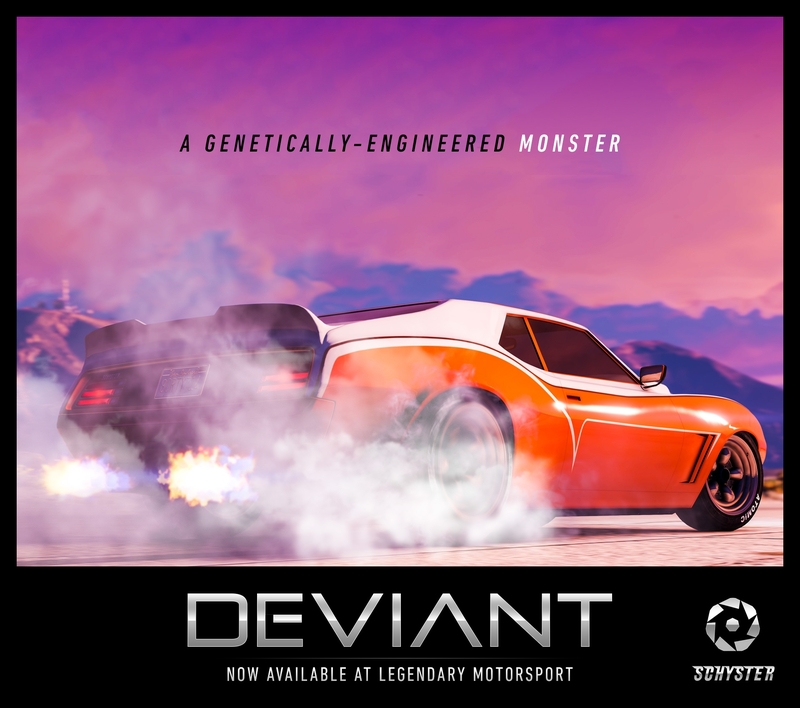 Revamped, remodeled, re-engineered and released on the unsuspecting streets of Los Santos, the Schyster Deviant is back with a point to prove - available now at Legendary Motorsport. 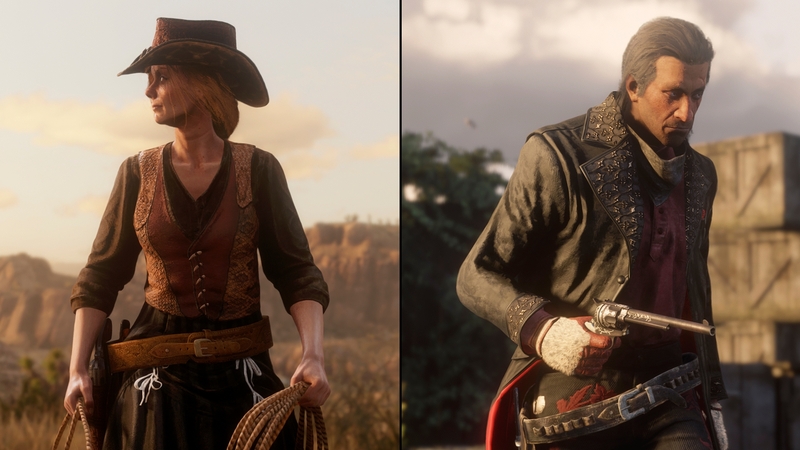 Challenge miniscule racers at major stakes with Double GTA$ & RP on the recently released RC Bandito Races all week long, then settle the age-old conflict between Beast and Juggernaut to earn double rewards on Trading Places (Remix) for the same period. Pack the house at twice the speed this week with a 2X Boost on Nightclub Popularity gained from Nightclub Management missions. You'll also rake in Nightclub Income at twice the usual rate - just be sure to empty your safe when it reaches capacity. 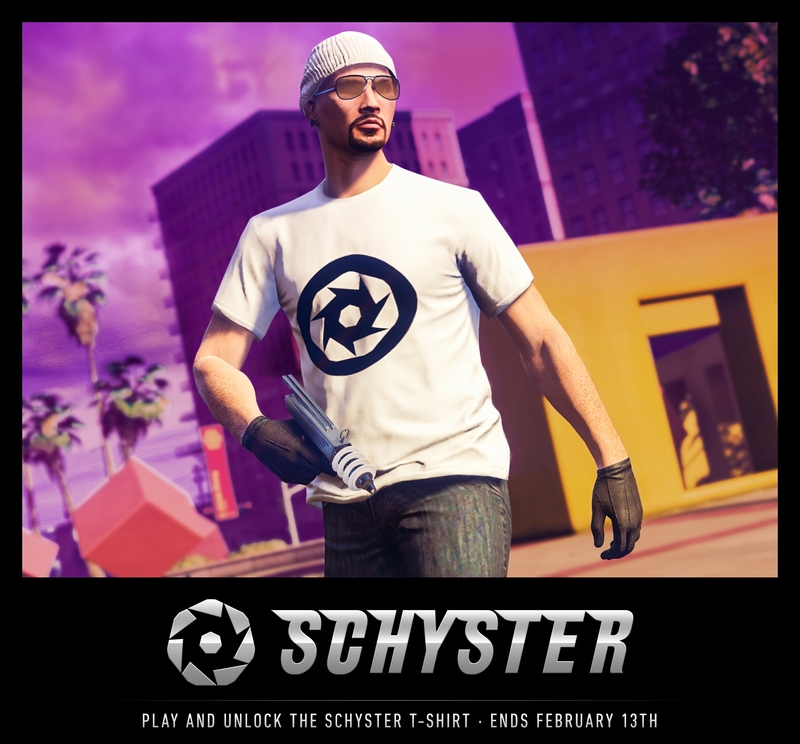 To celebrate the release of the Deviant, Team Schyster is awarding all players who log in this week with a free Schyster T-shirt. And for a limited time, successfully delivered Business Battle Crates have a chance of awarding a cool GTA$50,000, along with a hand-picked mix of rare T-Shirts from your favorite vehicle manufacturers and After Hours DJs. 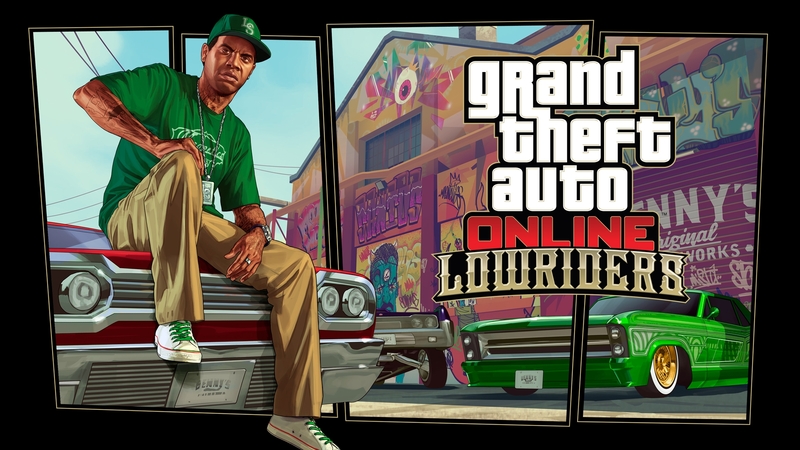 Play GTA Online any weekend this February to earn a GTA$250K reward the following week, up to GTA$1M for the month. So if you played at any point between February 1st and 3rd, be sure to jump in this weekend to claim your first GTA$250K cash drop.